Messi hit a post and Barca were denied a penalty when Bruno handled a shot by the Argentina forward, before Messi's brilliant set-piece goal. 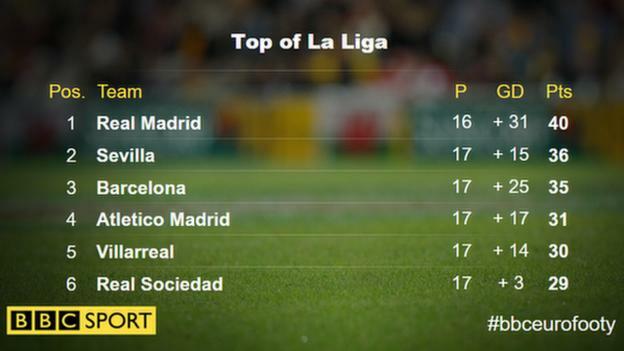 Barca stay third in the table and trail leaders Real Madrid by five points. Villarreal, who remain fifth in La Liga, had full-back Jaume Costa sent off close to full-time after a second yellow card"